The Fountain Square Garage is located underneath the Square and can be accessed from Vine St or Walnut St between 5th & 6th Streets. 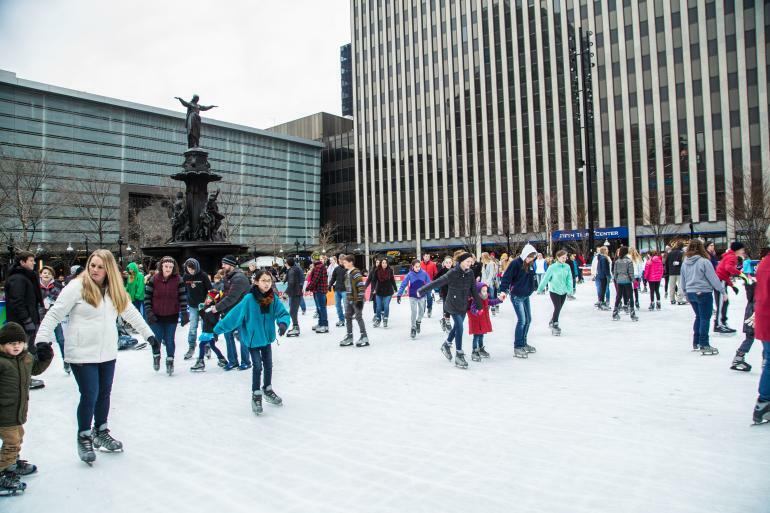 Skate the day (or evening) away on Fountain Square amidst downtown’s tallest buildings. 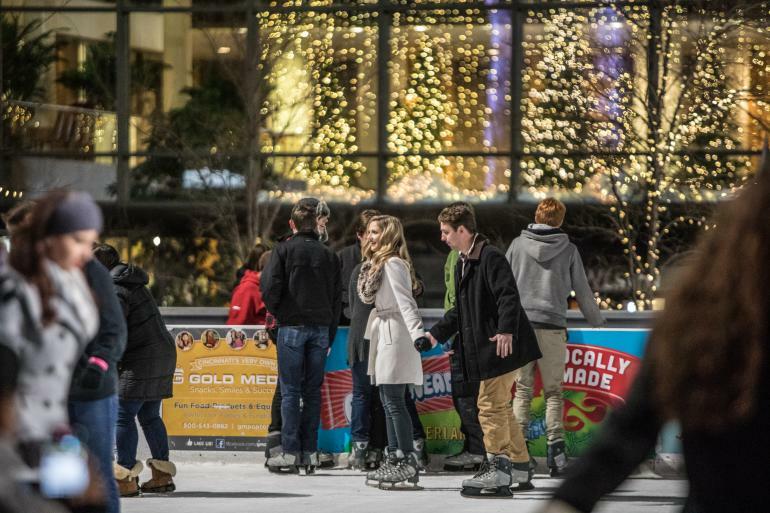 At 7,000 square feet, it is about the size of the rink at New York's Rockefeller Center. 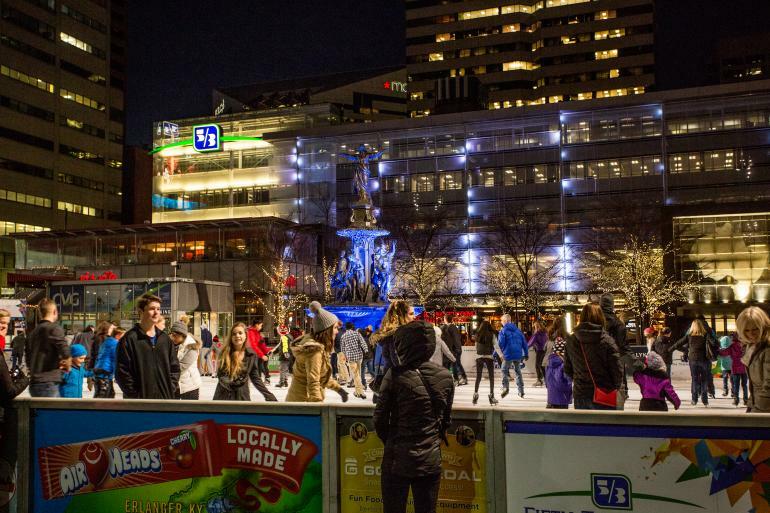 Amenities include skate rental, lockers, benches, and concessions options. Warm up with hot drinks and sweets at Graeter's on the Square or Ingredients across the street. Other nearby restaurants include Potbelly Sandwich Works, Rock Bottom Brewery, Via Vite, Chipotle and many more restaurants in the blocks surrounding the Square. Have fun without spending a dime. It's so much better when it's all for FREE! Santa makes the rounds, and he's not taking the holidays sitting down! 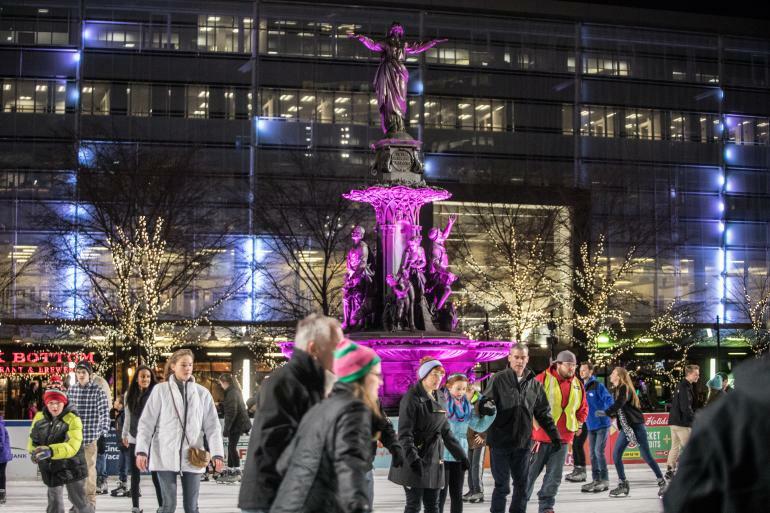 Beat the winter blues with these hot events in the Cincinnati region. 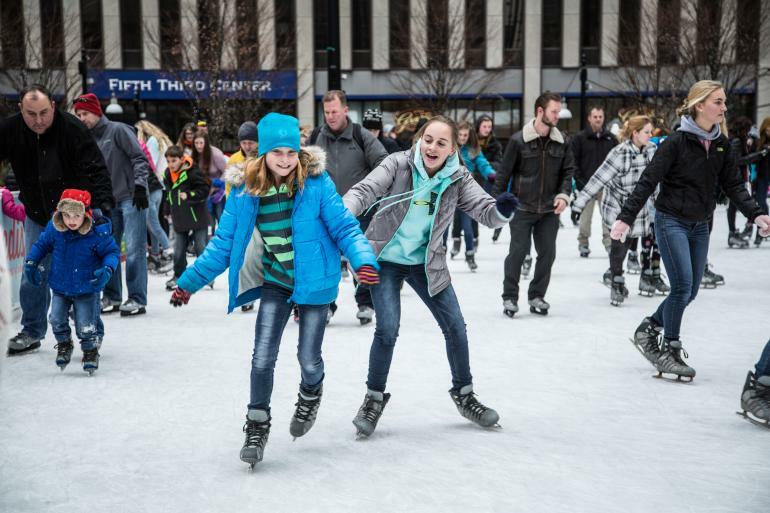 Lace up your skates and hit the ice on these indoor and outdoor rinks throughout the region. 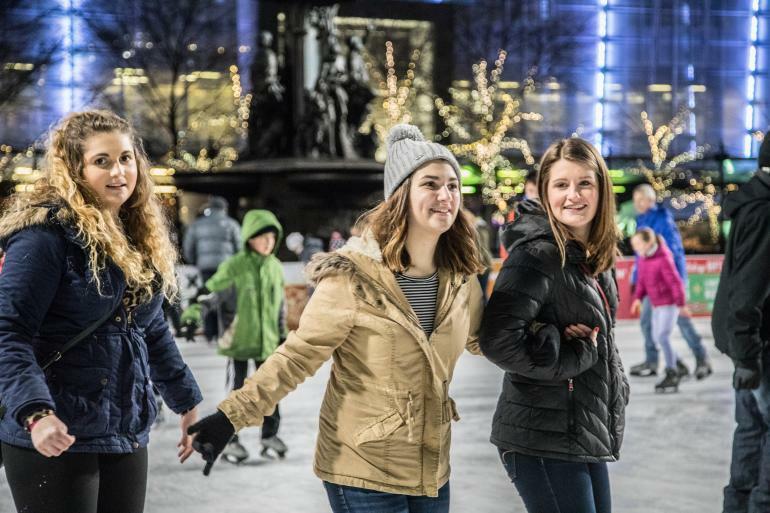 Load up on holiday cheer while saving money with these free activities. From hotels on top of art galleries to cabins in the woods, you’ll find everything you need and more to bring romance alive on your next trip. Upscale steak and seafood chain known for its clubby environment and happy hour. Breakfast & lunch counter for made-to-order American cafe bites in a relaxed space with free Wi-Fi.